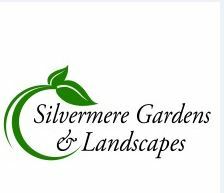 Silvermere Gardens And Landscapes - Driveways/Patios/Paths, Landscaper based in Walton-on-Thames, Surrey. Having built a reputation for our quality work and reliable teams, we provide all Design, hard and soft landscaping services throughout South London, Surrey and surrounding areas. Whether it’s full Garden design and construction or a patio, fence or deck we take pride in the individuality of each and every project. Our excellent reputation continues to be spread by word of mouth by the wide variety of clients we have served. If you're interested in commissioning us to improve the aesthetics of your garden or courtyard, feel free to get in touch with one of our staff for a no-obligation quote. You can call us on 07931 238 869 or send an email to [email protected].